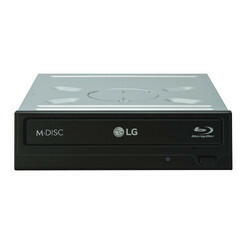 Wholesale Trader of a wide range of products which include lg m-disc dvd writer sata desktop. Read and write Blu-ray discs at 14x with the WH14NS40 that allows you to record up to 128GB of files, photos, or documents onto a quad-layer BD-R disc. SATA interface technology allows for easier integration and faster performance while M-DISC™ provides superior reliability in data storage that is perfect for archiving important data.